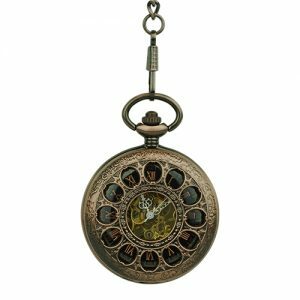 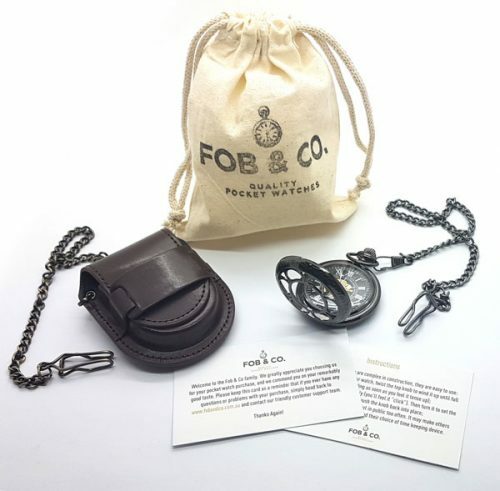 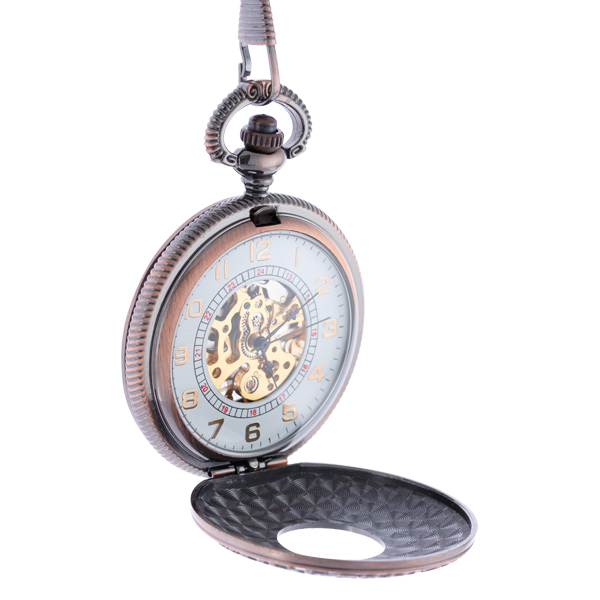 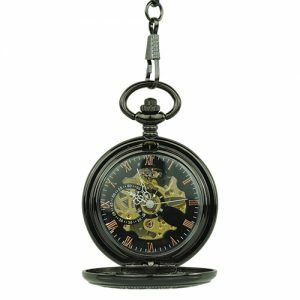 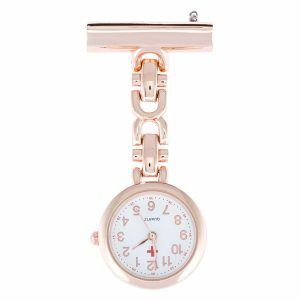 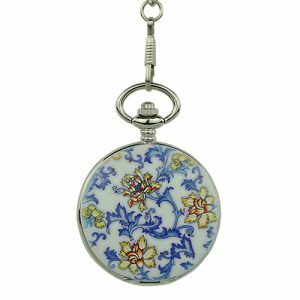 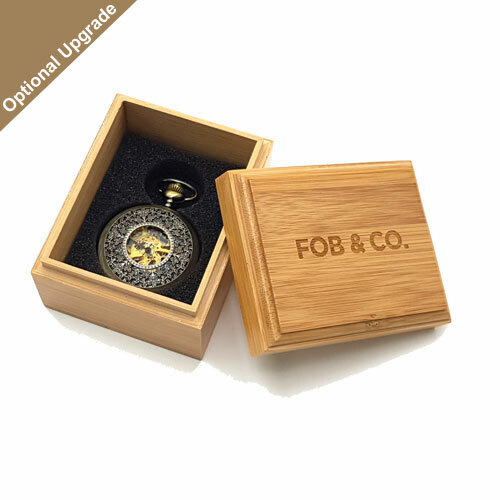 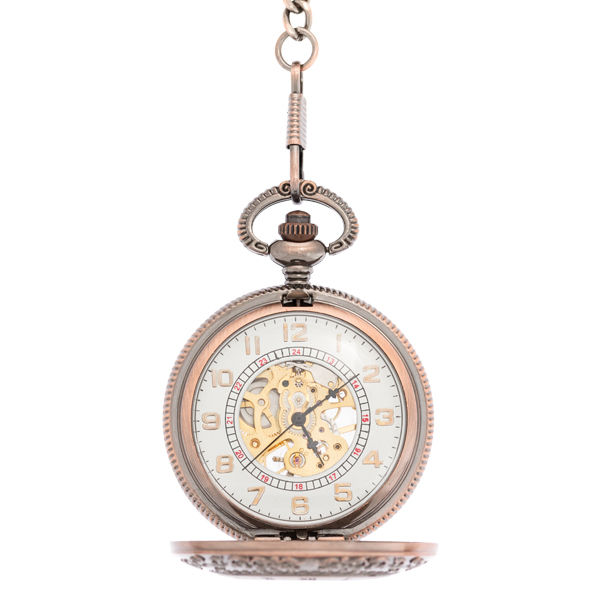 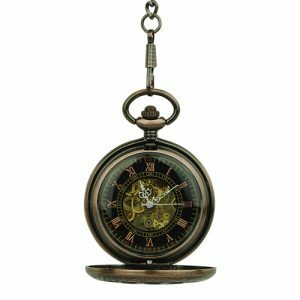 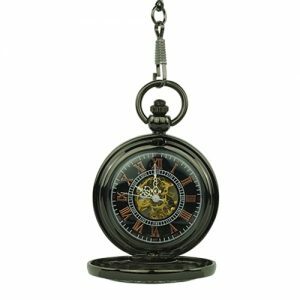 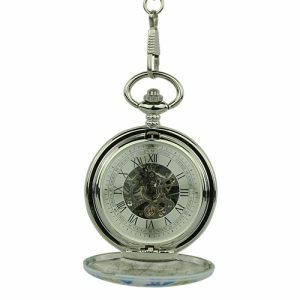 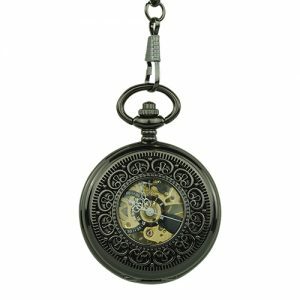 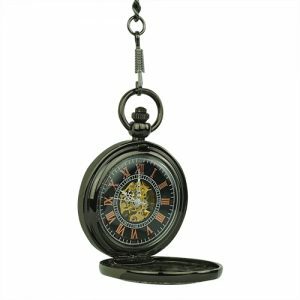 This pocket watch has a brass antique finished frame and half hunter cover. 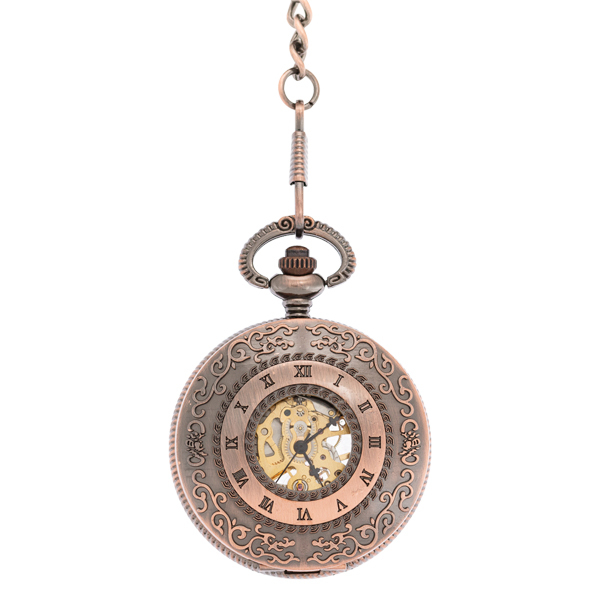 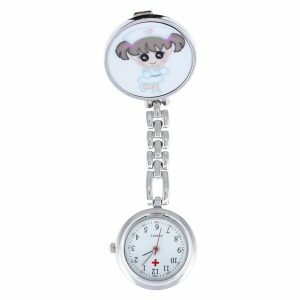 The outer ring features a wavy design with Roman numerals in the inner ring. 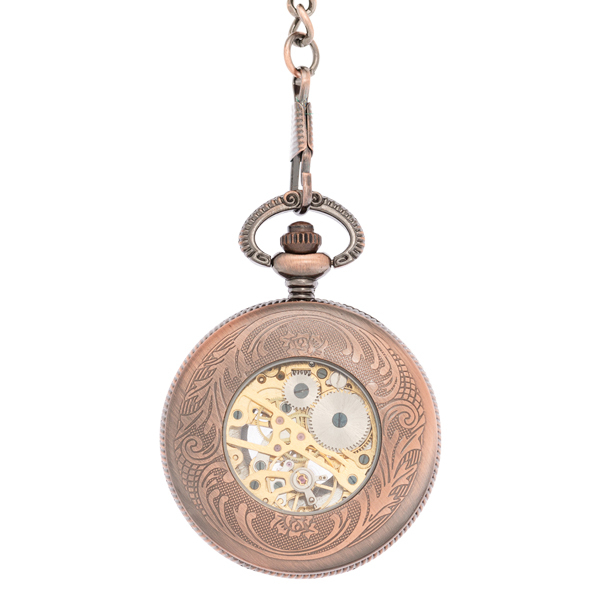 The centre viewing window shows the see-through watch design to gold-coloured inner workings.